… reducing platelet wastage rates from highs of up 21% to lows of down to 6% - it is possible! The BloodMove Platelets project aimed to reduce platelet wastage rates due to expiry. High platelet wastage rates which were previously seen as unavoidable were deemed unacceptable in the current climate of healthcare cost containment. BloodMove Platelets involves a collaborative platelet inventory concept comprising of moving Day 4 platelet blood stocks from low usage sites to high usage sites and then sharing a common multi-site near expiry Day 5 platelet inventory. Additionally, minor inventory level changes and dispatch practices were implemented. Transfusion Service laboratories across the SA Pathology network, together with the large private pathology transfusion service laboratories, have significantly reduced platelet wastage to levels previously thought as unachievable. As a result, BloodMove Platelets has achieved a 54% reduction in platelet wastage for all metropolitan public hospitals in Adelaide (comparing the 12 month averages pre and post BloodMove of 17% to 7.8%). This reduction has been sustained for 12 months and is expected to be maintained. The flow on substantial cost savings to State and Commonwealth Governments will allow redirection of funding to other areas within health. 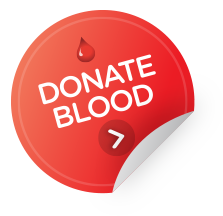 Importantly, BloodMove practices have reduced the out-dating of the valuable resource freely provided by blood donors. These initiatives have shown that with good planning, collaboration and education, significant reduction in platelet component wastage due to expiry is attainable. For a pdf version of the content on this page download the BloodMove Platelets Case Study Factsheet (1.17 MB).